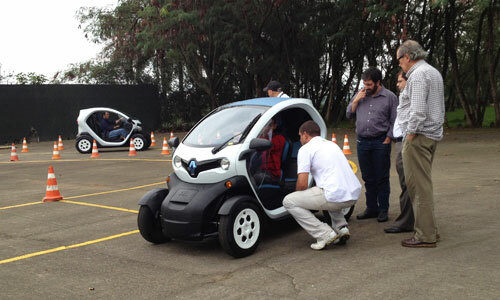 The Renault-Nissan Alliance organises, outside Rio+20, electric vehicle test drives at HSBC Arena. Among them, Fluence Z.E. 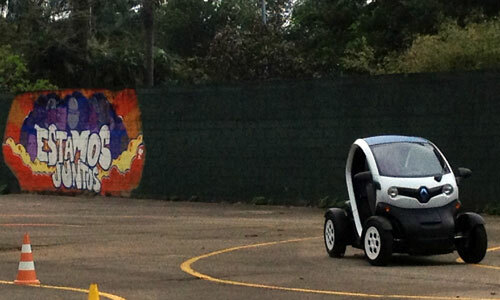 and...Twizy! 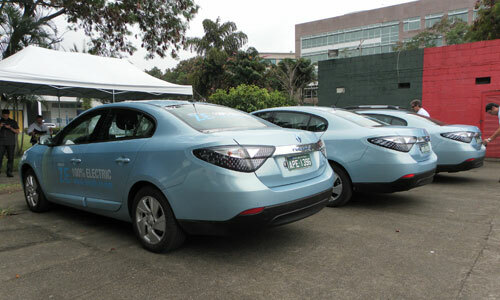 It is the first time Renault Z.E. 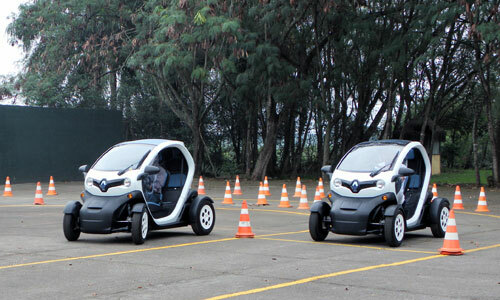 cars make an appearance in Brazil, Renault's second biggest market. UN delegates, Earth Summit participants and journalists, got a taste of zero emission driving and shared their impressions with us. 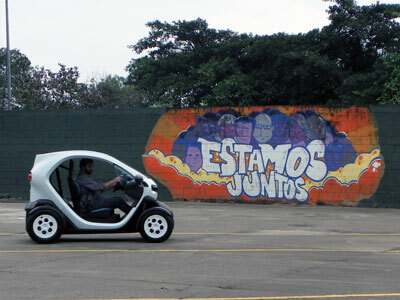 After driving throughout Rio on board Fluence Z.E., journalists got to a closed track to test drive Twizy (not homologated for Brazilian roads). 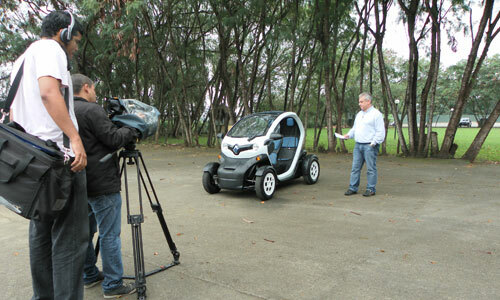 In a country where 90% of cars are fueled by flex-fuel (a mix of gas and ethanol), one might say that Twizy, a 100% electric small urban vehicle, found a following! We met up with this group of journalists from all over the country, who made the trip to Rio just to get to try this little UDO (unidentified driving object). 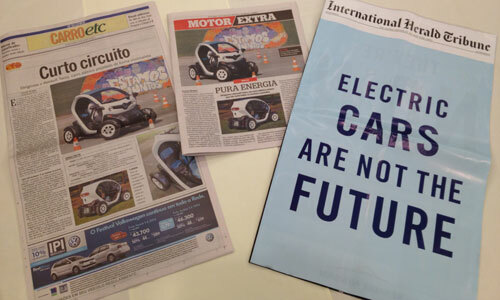 Twizy made the headlines of the Brazilian and international media at Rio+20...It is not available outside Europe for now, but considering the huge success it is finding everywhere it goes, from the streets of New York City to its encounter with Heads of States, it could soon end up on the other side of the pond and all around the world.